Cowboy Callosum: Two Double Knot Cowboy panels (hand cut graphics) around a Callosum section. The callosum is set of circuits for mixing the two brain halves on either side of it. 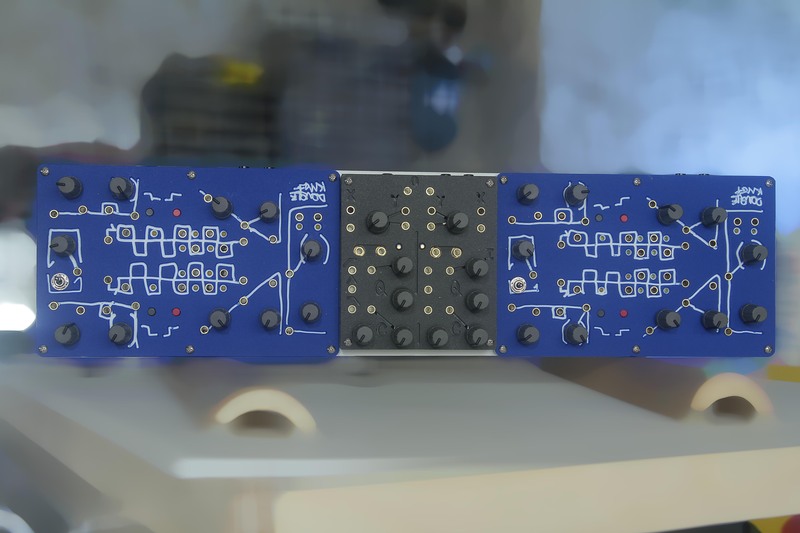 After desinging it initially to be placed between two double knots I realized that any sort of source doubled and mirrored around this piece could make a brain-formatted synthesizer. 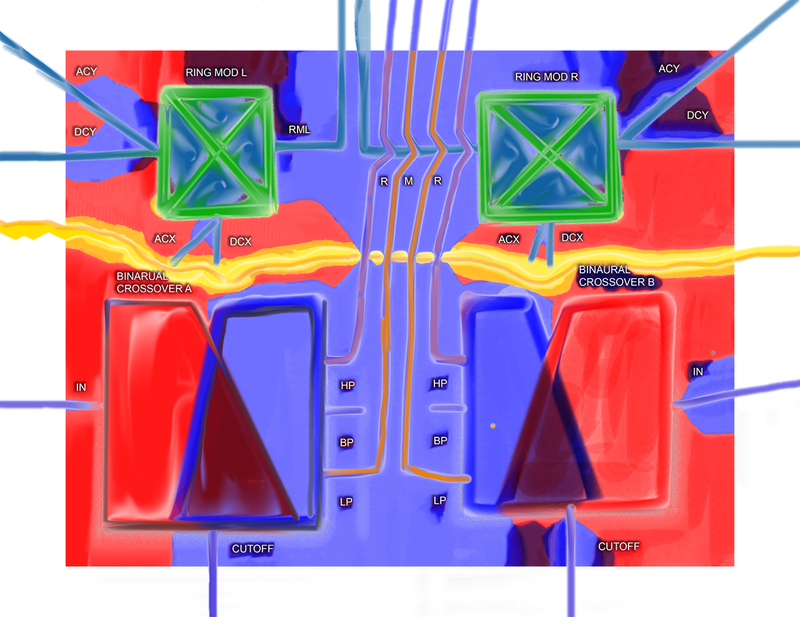 Above is a digital painting block diagram of the collection of circuits. 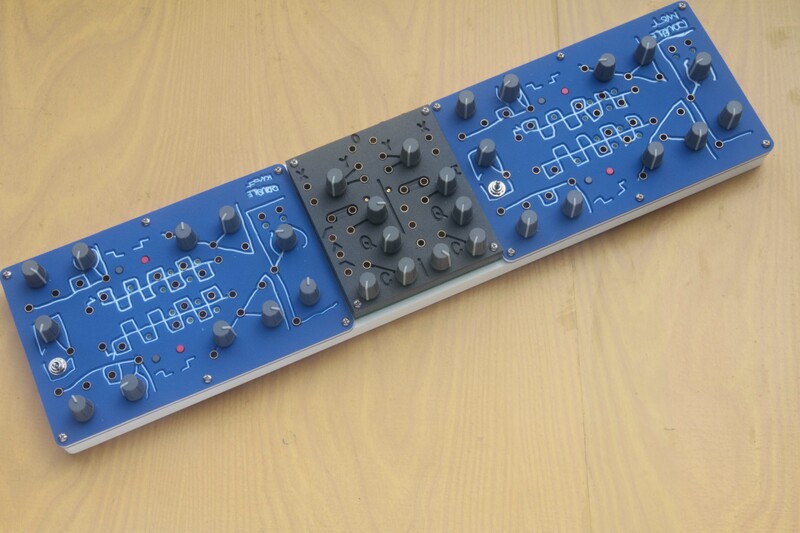 These circuits arranged to be a mixer of sorts, not just mixers of signals by addition but mixers by modulation. 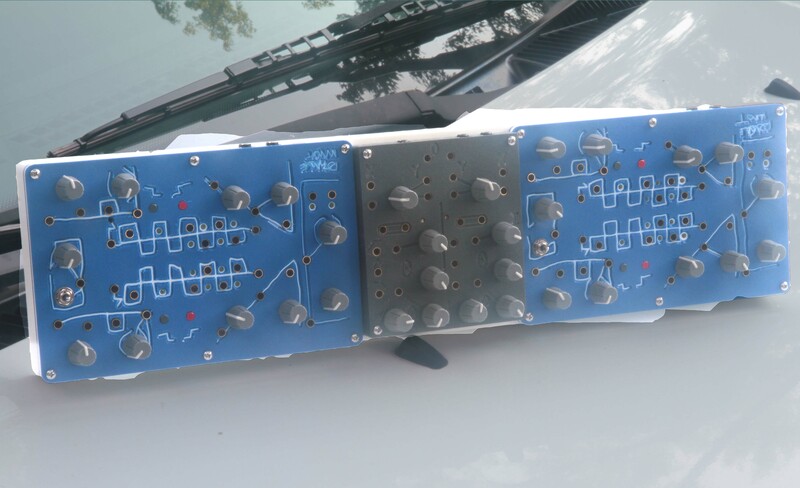 The ring modulator does this by amplitude modulation, and the filter by frequency-content modulation. This particular ring mod topology of just a single lm13700 OTA was picked for its slightly lop-sided character. 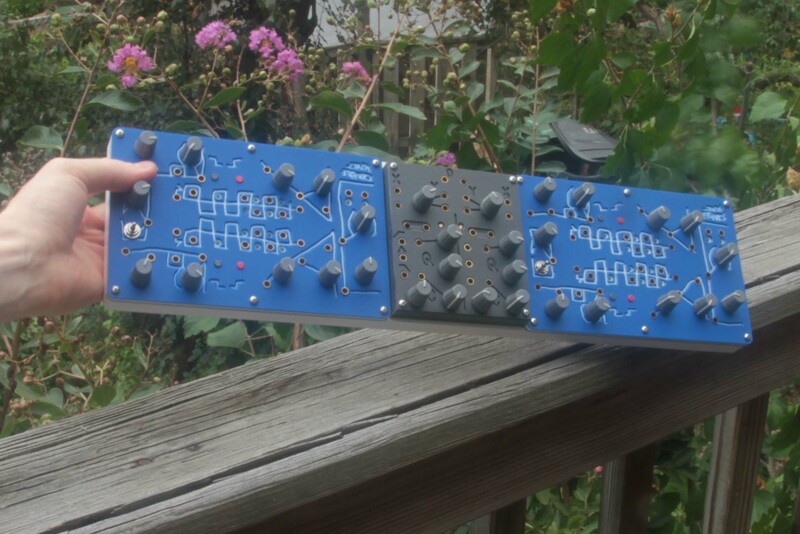 The binaural crossover design is a fairly vanilla state variable filter based mostly on reading Don Lancaster's Active Filter Cookbook. 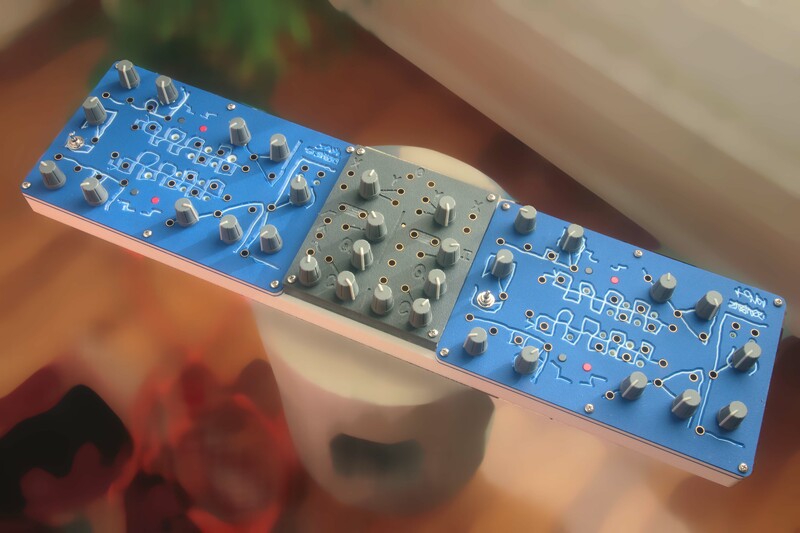 Binaural crossover is a state variable filter that has 3.5mm outputs that give high pass in one ear and lowpass in the other. 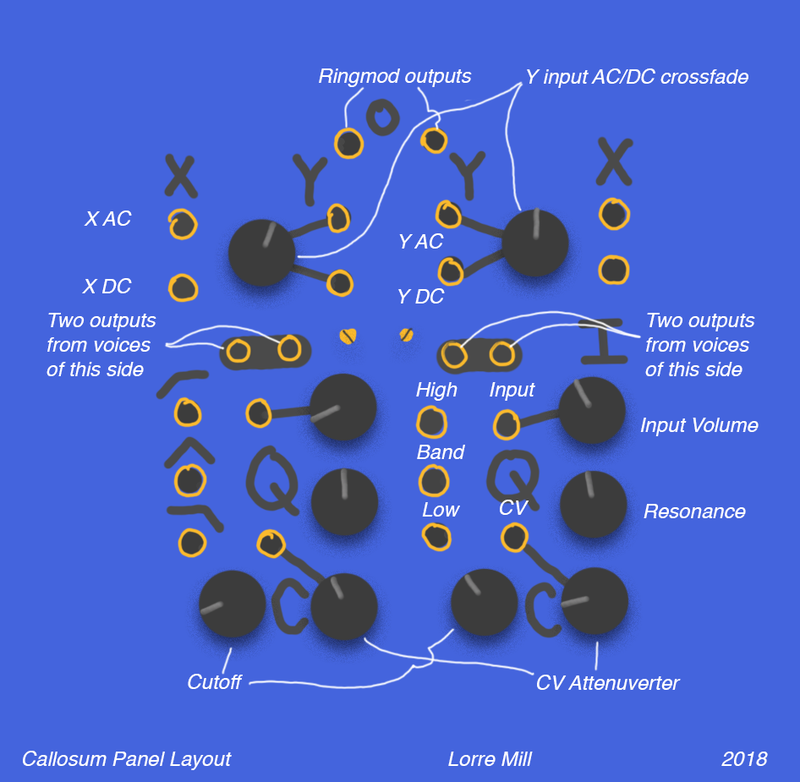 Two ringmods are simple types that have AC and DC inputs for both X and Y. Mix signals of all frequencies in stereo.